Emails you send us will be stored outside the European Economic Area on our third party email provider’s servers in (United States of America) . Messages you send us via our contact form will be stored outside the European Economic Area on our third party email provider’s servers in (United Staes of America) . Our third party email provider is located in United States of America. After you place an order on our website you will need to make payment for the goods or services you have ordered. 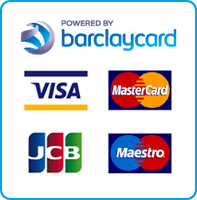 In order to process your payment we use a third party payment processor, Barclay Card. Your payment will be processed by Batrclay Card. Barclay Card is located in (United Kingdom). Information relating to the processing of your payment is stored within the European Economic Area on our third party payment processor’s servers in (United Kindom). We do not display the identities of all of the other third parties we may share information with by name for security and competitive reasons. If you would like further information about the identities of such third parties, however, please contact, us directly via our contact form or by email and we will provide you with such information where you have a legitimate reason for requesting it (where we have shared your information with such third parties, for example).